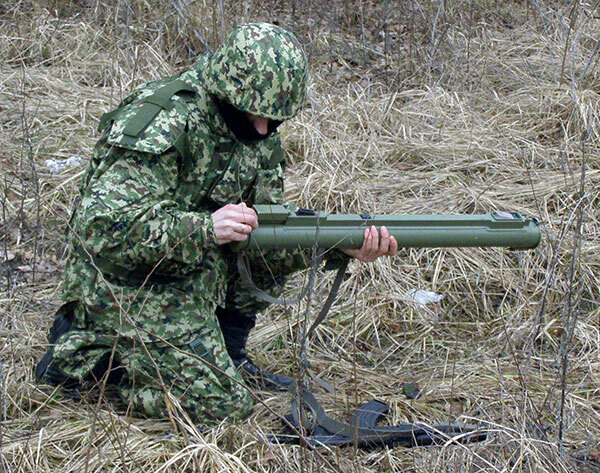 The RBR M80 64 mm is disposable; Light Anti-armour Rocket Launcher intended to enable almost every infantryman to perform anti-armour and anti-fortification combat tasks. The 64 mm RBR M80 is an extremely simple, safe and reliable weapon, featuring high accuracy and precision at practically all relevant ranges of modern infantry combat, as well as acceptable terminal efficiency. In terms of complex ratio of terminal efficiency/effective range/combat weight-portability/price, the RBR M80 is a good choice for infantry, airborne units, special and commando units of almost all armed forces throughout the world. Terminal efficiency of HEAT warhead is capable of destroying of all potential lightly/medium armoured vehicles and fortified targets on modern battlefield, excluding only the forward arc of modern MBT and extremely highly reinforced field fortifications, bunkers and buildings. The recent development of new types of warheads provide for enhanced efficiency against personnel in field fortifications and reinforced bunkers and buildings. 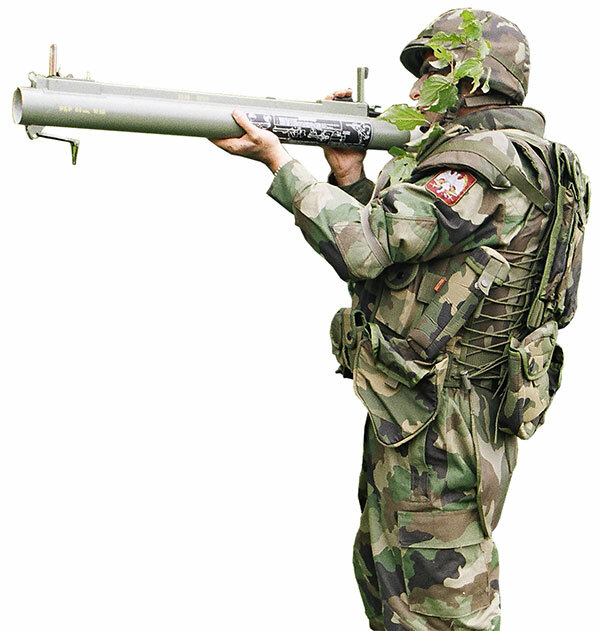 In combat position, the launcher provides for sighting, firing and bearing of the rocket in firing. For this purpose, the firing mechanism and mechanical sighting device are mounted on the launcher. Except forth firing elements, all other elements of the launcher are made of plastic material. 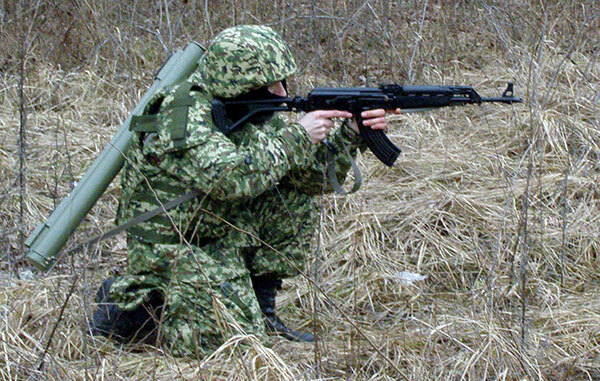 In accordance with special customer’s request, removable or fixed laser target designator with visible/near IR wave length or wavellength setting capability can be attached on the launcher, giving additional time-critical target rapid-aiming capabilty, particularly effective in close urban-terrain combat against fast-moving vehicles or reinforced terrorist positions at all effecive combat ranges up to 300 m.